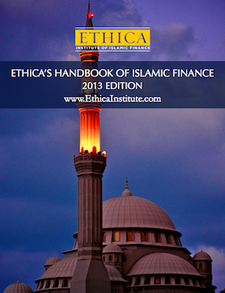 A group of Islamic scholars have proposed that banks’ sharia boards create partnerships between the boards and Muslim depositors, to insulate the boards from pressure exerted by bank managements and counter allegations of conflicts of interest. Banks commonly appoint prestigious scholars to their sharia boards and pay them handsome fees and retainers. This has left the system vulnerable to charges of conflict of interest: the scholars are being paid by the institutions which they are supposed to be supervising impartially. A group of scholars in South Africa, led by Durban-based Ebrahim Desai, a senior figure in the city’s Muslim community, proposed that Muslim depositors in each bank fund a sharia compliance body that would be created separately from the bank. The body would then hire a Sharia board to supervise the bank. In this way, the scholars on the board would not be appointed by or report to the bank’s management, and would not have a direct financial relationship with the bank. “We seek a neutral and balanced position,” Desai said by telephone, adding that freed of subjection to bank managements, sharia boards would be able to play more strategic and powerful roles in governance. Emraan Vawda, a colleague of Desai, argued that by their nature, banks were ill-suited to policing their own Islamic activities. “Commercial concerns in the overwhelming majority of Islamic banks far outweigh genuine commitment to Islamic values and precepts,” he said. Desai and Vawda said they had served eight years on the sharia board of South Africa’s First National Bank (FNB), the retail arm of South Africa’s second-biggest bank FirstRand, where they provided their services at no cost to FNB. Desai, Vawda and the rest of FNB’s sharia board resigned in July, complaining that the bank had failed to consult with the board on several occasions, and hired a new head of its Islamic finance business without input from the board. FNB said it aimed to appoint a new sharia board by the end of this year and would draft clear rules and roles for the board, which would not include approving appointments of senior personnel. It said the previous head of its Islamic finance business resigned after the bank conducted an investigation into “internal processes and practices of the businesses aligned to internal governance practice”. This entry was posted in Innovations and developments, Scholars and tagged Islamic Banking, Islamic finance. Bookmark the permalink.